CRKT Tool | BUDK.com - Knives & Swords At The Lowest Prices! Custom knifemakers Ed Van Hoy and Tom Stokes plied their talents for mechanical wizardry and efficiencies for fit in the new and innovative design of the CRKT Tool. The compact body shape offers grip, and carries nicely. 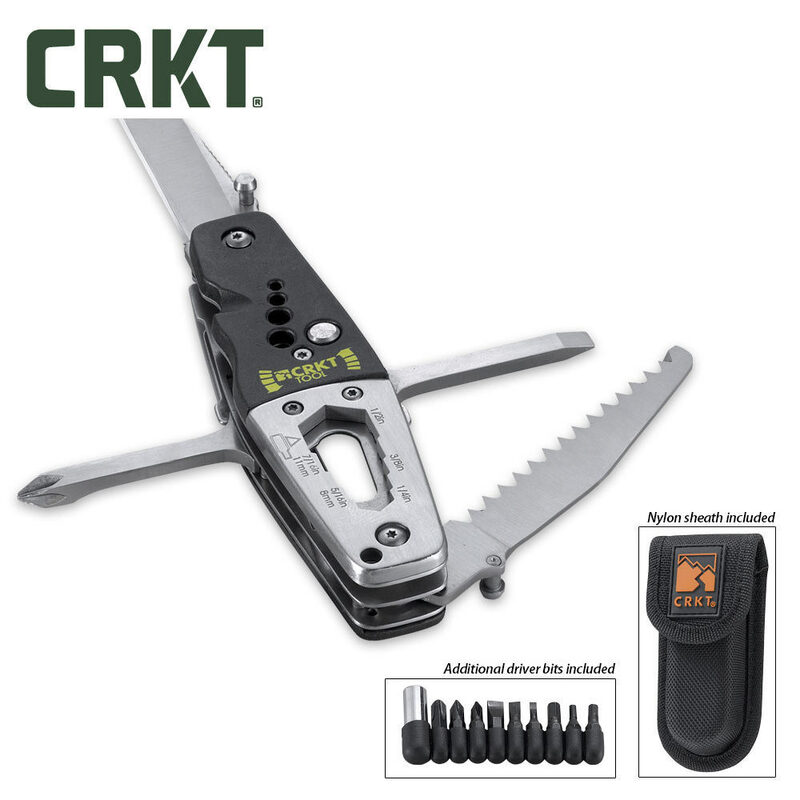 Tools include: utility blade, sawtooth blade, multi-fit box wrench, wire stripper, button/spring opening Phillips/regular screwdrivers with additional driver bits, and bottle opener. great item very well made great for camping.